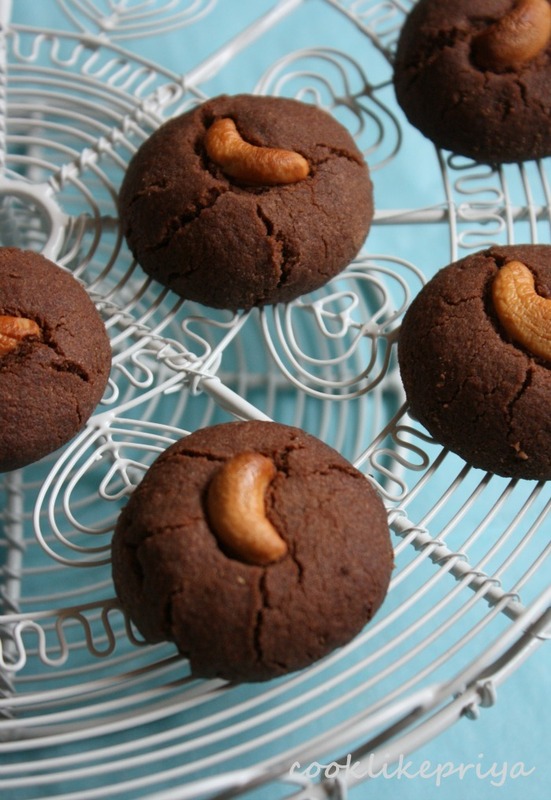 Sis, send a bag full of these fantastic desi cookies, that too with coffee in it. Dont pull me like this to make some,seriously am keeping me away from bakes now. am always craving for nankhatai.it melts immediately. Very well done with nice twist of chocolate in it. 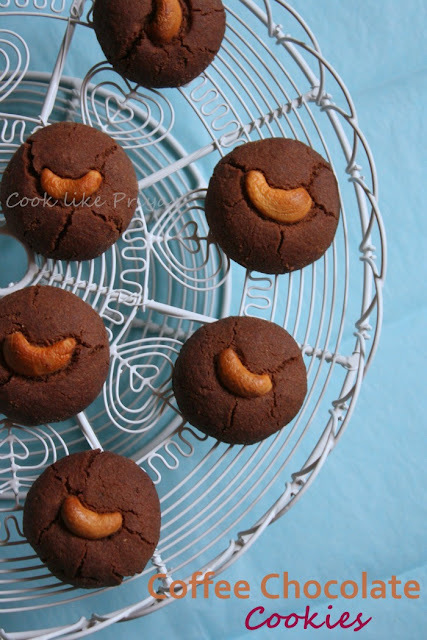 i too wanted to try this chocolate flavored nan khatai...they come out so well...yumm cookies! lovely presentation Priya! The much awaited recipe is finally here.. you know am a coffee person.. this is definitely on my to try list.. it has come out perfectly Priya.. I haven't ever made cookies. 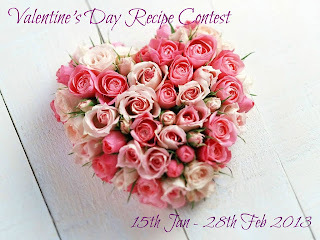 Thanks for sharing this recipe...Nice clicks. 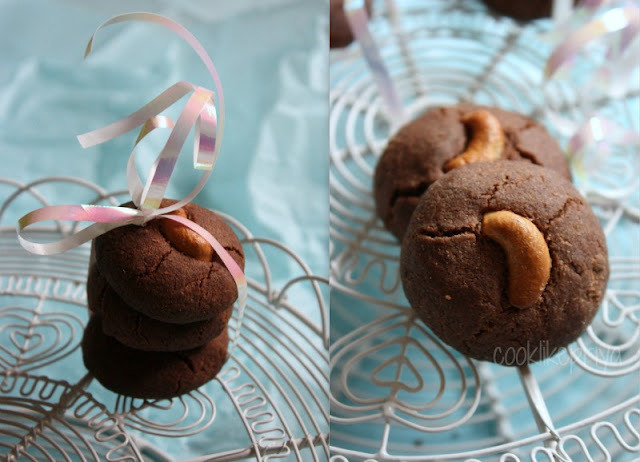 Simply delicious,they look gorgeous with that crackly look..
Chocolate and coffee will marry each other well, your twist to nan khatai is really yum. 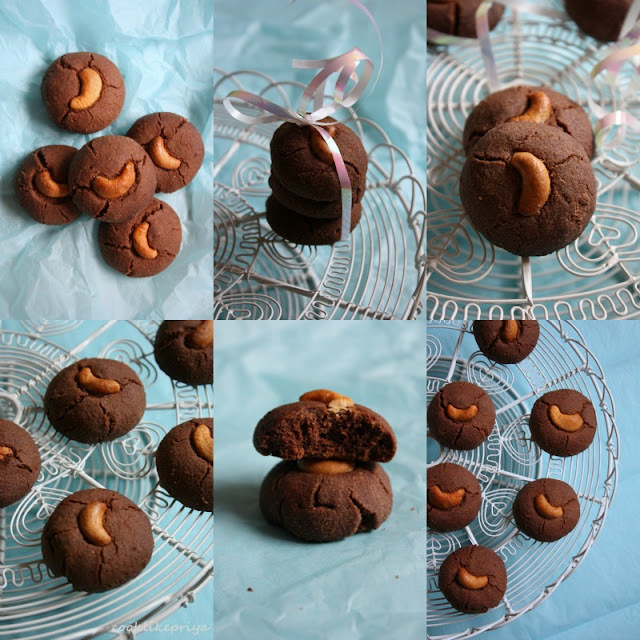 Choclate nankhatais are soemthing new to me and with such crumbly texture I can finish the whole lot. between loving your pretty stand. This looks so amazing. Coffee n choco....I must try this. What a lovely twist, this sounds delicious. As always, fantastic pictures! a hint of coffee, fantastic idea ... could have a dozen in a go! coffee and chocolate is a great combination.Have to try . 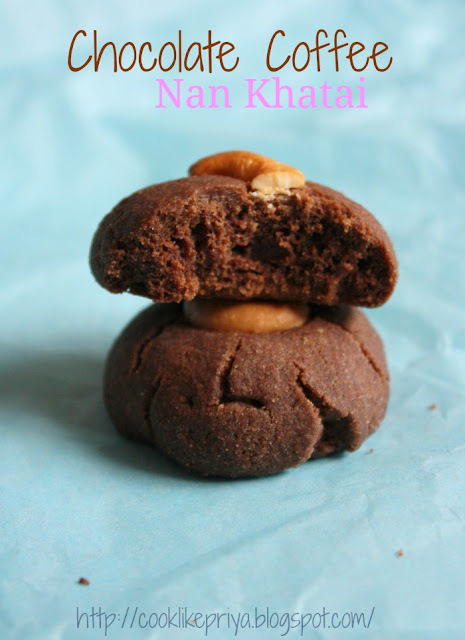 Lovely variation to regular Nan khatais, looks good. Hi, I have used ghee (clarified butter) and I have mentioned it as ghee in the ingredients. About the sugar, I have mentioned that you need to mix flour, sugar,cocoa and coffee together. Please read the recipe carefully.